If you play sports or even if you just work out often and need a great pick me up after a work out, you may want to try the Collagen Sports Recovery products from NeoCell, not only do they taste great but many studies have shown that collagen can help repair damage done to tendons, muscles and ligaments. My son who plays softball knows that playing sports takes a lot out of you, and the glycine in this formula helps build lean muscle, as well as provide support for ligaments, tendons, and osteoarthritis. This is so important for people who are exercising regularly as well as older people who need to keep strong and active. Do not be fooled that any collagen supplement can be used, there are only specific collagen and gelatin supplements that can be used for these purposes. 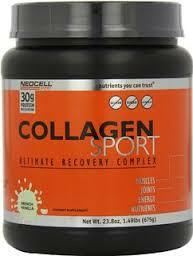 The Super Collagen in the Sports Recovery powder has all of the properties you are looking for. The Super Collagen™ in this formula is composed of nineteen amino acids, and is a great source of glycine, proline, alanine, and hydroxyproline. When you take these products orally it helps to reorganize new collagen and build mechanical strength of the connective tissues. The SuperCollagen has advanced bioavailability that uses an advanced process to break down large collagen molecules into low weight peptides that are both bioavailable and bioactive in the body. It also contains two amino acids specific to collagen. These two things are not regularly found in amino acid supplements and are very important in collagen production. This particular formula has a 90 percent absorption rate into the blood stream where these cellular changes occur. If you are going to take a collagen supplement to help your joints, muscles and bones, you want to make sure that these things can get into the proper places to work. 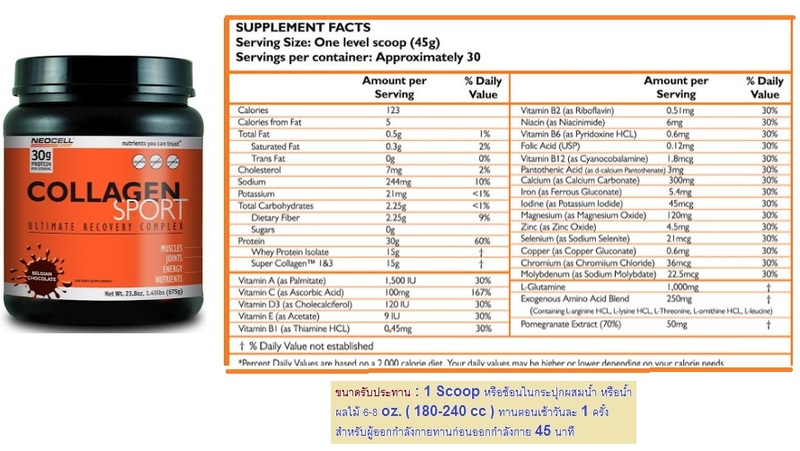 At NeoCell they have three different delivery systems for this formula, powder, tablets, and liquid. My son enjoys the vanilla powder drink after a game or work out, he feels it gets into his system faster and easier and helps him feel better quicker. While there is still lots of research in the field of collagen supplements, we do know that it is great for your body and connective tissues. If you are going to take something to help you recover I suggest the Collagen Sport Recovery mix as it tastes great, mixes well and will help your body recover better from the inside out.